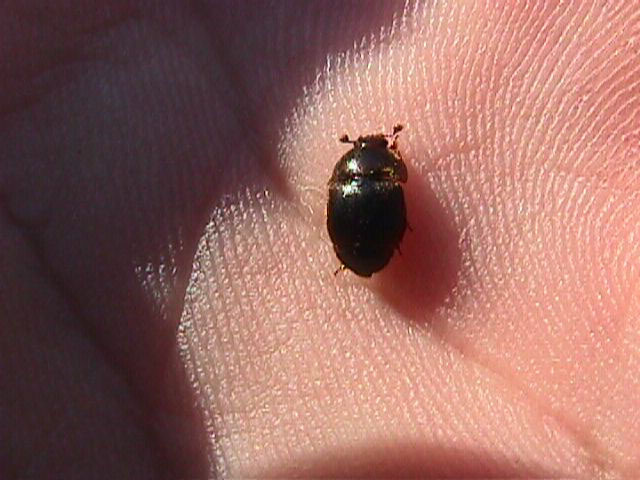 The African Hive Beetle is very small and hard to spot in a casual inspection of the hive. The adult beetle lays its eggs in the honey comb where the eggs hatch. As the Beetle larva mature, they defecate in the honey destroying its value to the bees and to man. In the fall, the mature larva (below) craw out of the hive and hibernate in the ground under the hive. 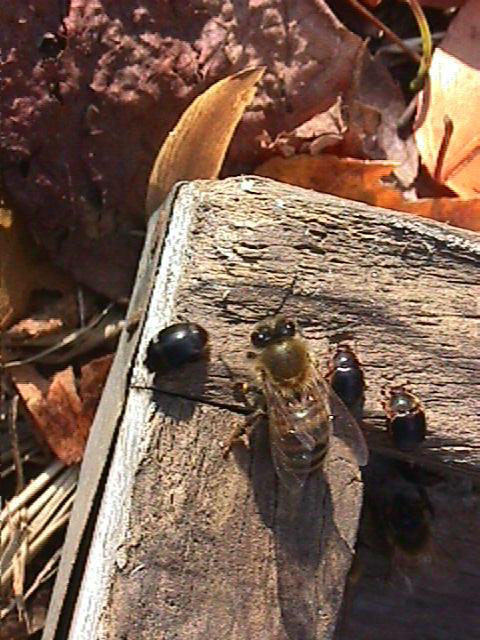 They re-enter the hive in the spring as adult beetles and the cycle repeats. 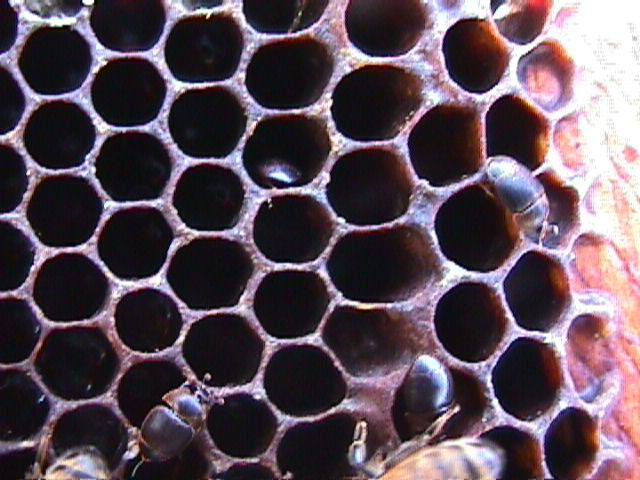 Eventually, as more and more honey is lost to the beetle larva, the bees either abandon the hive or starve. The beetle has been spotted in the southern states and is moving north. Some sightings have been as far north as Ohio. The time to destroy the beetle is in the larva stage when it is in the ground under the hive.